She was 3 years old. To read my eulogy to Hannah, my promise to her, please click here. 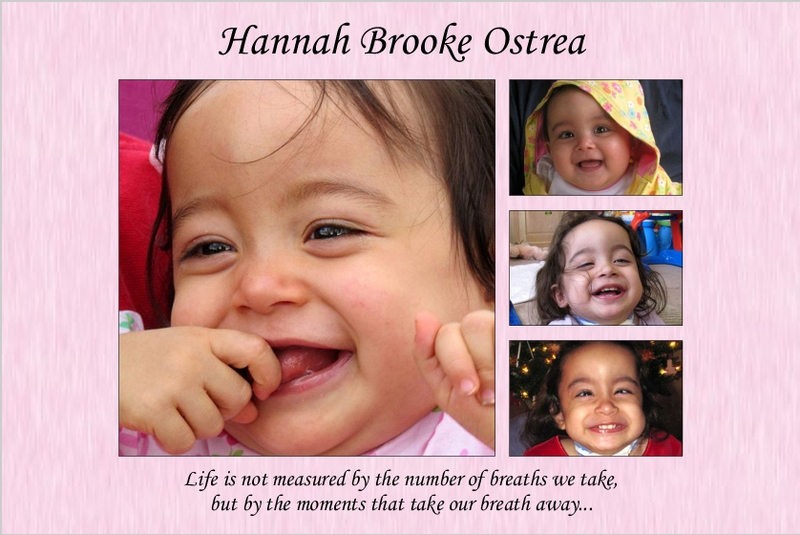 You can read about Hannah’s life journey at http://www.littlemisshannah.com. Can you tell Minnie is her favorite? Make-a-Wish trip to Disney World!